Whisper the Wonder Puss achieves the legendary Cat in a Box in a Box in a Box in a Box position. So many boxes, so little time. 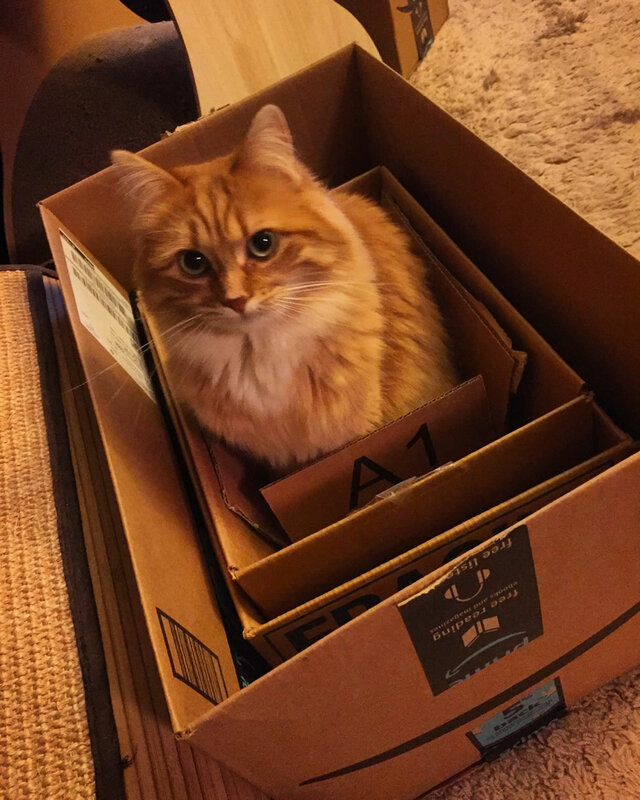 This entry was posted in cats and tagged box, boxes, cat, cat in a box, cats, inception, inception cat, whisper, whisper the wonder puss on November 26, 2017 by Clayton Hove.